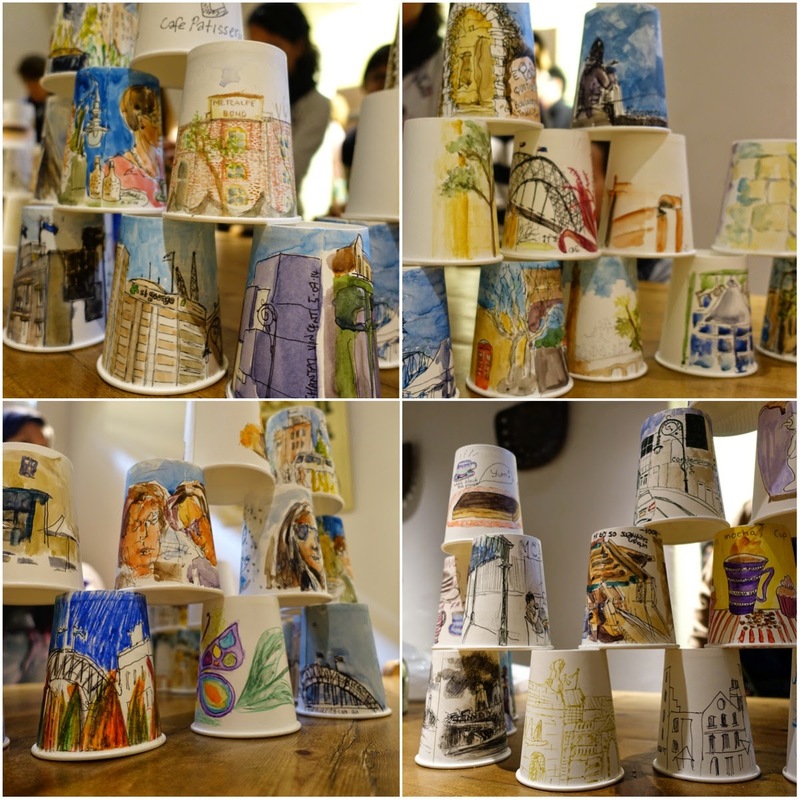 On Saturday the USK SYD gang drew on coffee cups as well as in their sketchbooks. 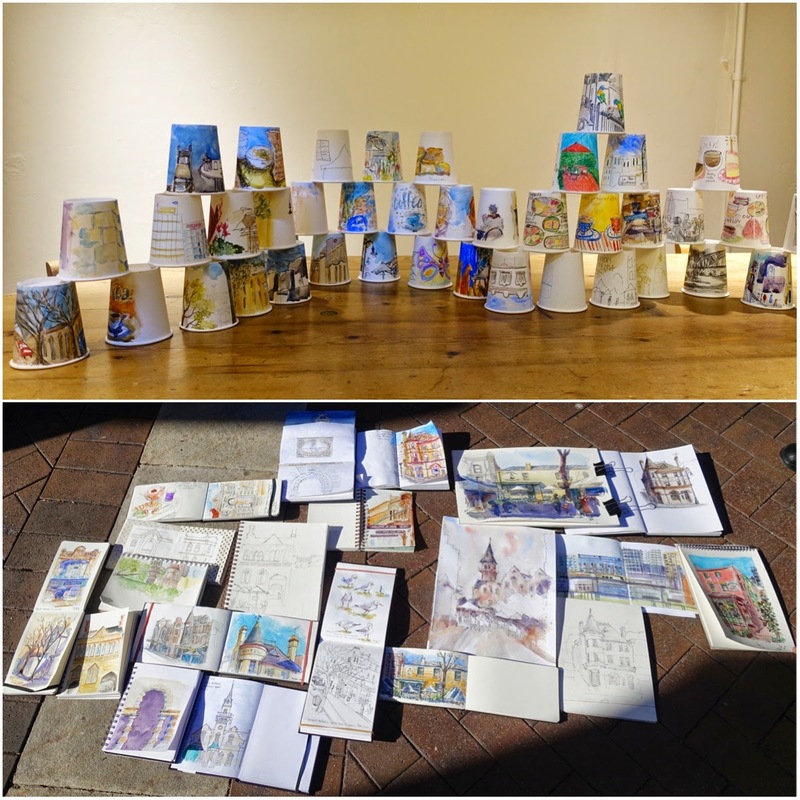 One of our members who has been working on the events for The Rocks Aroma Festival ask us if we would like to draw on some cups and submit to a coffee installation. So here was our results for the day. We were all amazed at how nice the recycled paper cups were to draw on AND paint. The surface seems waxy but watercolour applied wonderfully. 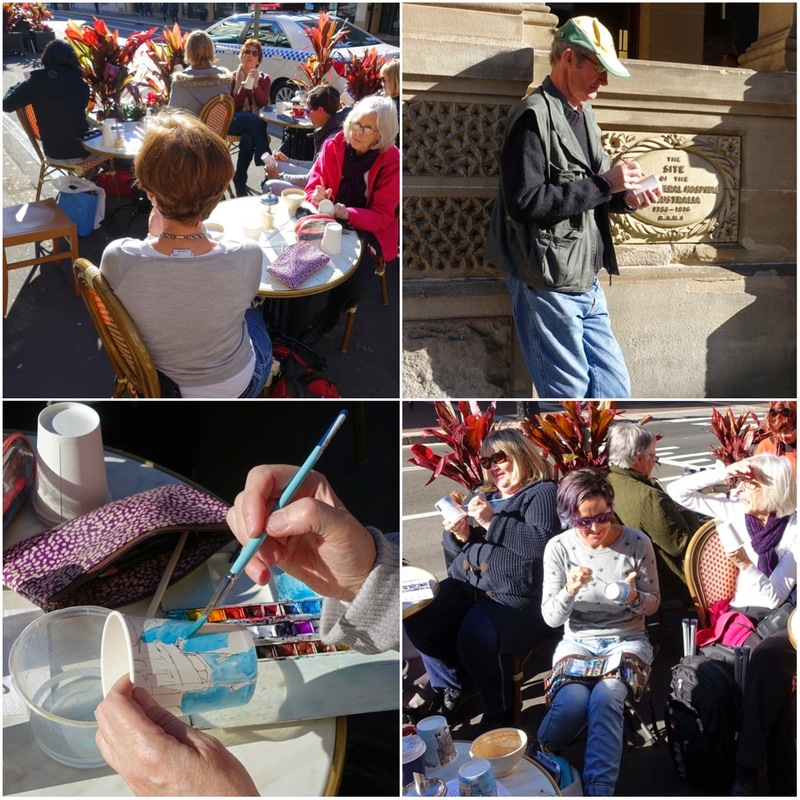 It was another glorious sunny winters day and so lots of sat outside sipping coffee and drawing on coffee cups.